Texting and driving can be more dangerous than drinking and driving. There is something about humans' brains that don't let us do both effectively. Of course, that doesn't stop people from trying, leading to a huge number of accidents and deaths on the roads every year. 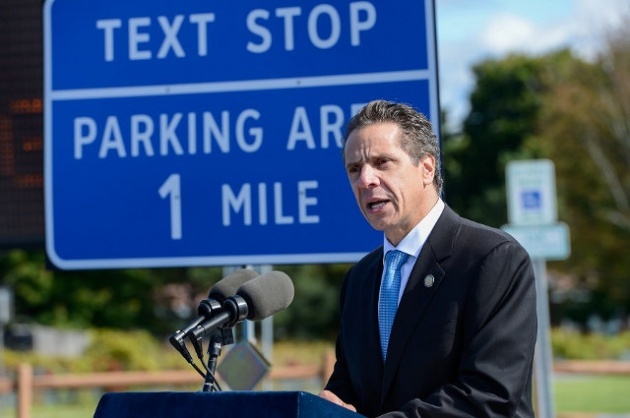 To combat the texting while driving trend, politicians in New York State have installed special "Texting Zone" pit stops along the state's highways. Set up in over 90 locations across the state, the initiative is intended to remind drivers that texting can wait. Whether this will have any impact on behavior will be seen, but a parallel initiative to more actively ticket distracted drivers will certainly fill the government's coffers.